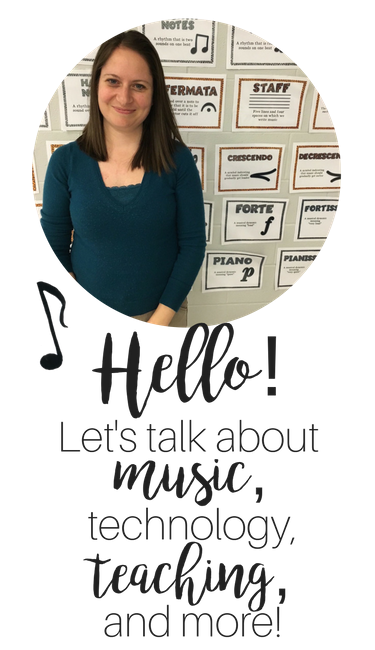 Today, I'm excited to be joining Lindsay Jervis' linky party, to blog about autumn manipulatives for rhythm writing! I just love the dollar shelves at Target, not just for fun goodies for my daughters, but for teaching! 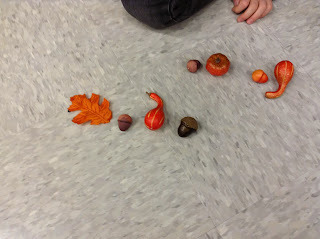 Recently, I found bags of pumpkins, gourds, acorns, and leaves and decided I had to use them in my classroom! The first pattern would be leaf acorn gourd acorn, and the second pattern (read from left to right as the student wrote it) would be gourd acorn pumpkin acorn. After the students wrote the patterns, I told them to say the pattern while clapping the rhythm, and then after that, the students had to figure out the pattern with ta and ti-ti. For the patterns above, the first pattern would be ta ti-ti ta ti-ti and the second pattern would be ta ti-ti ti-ti ti-ti. After the students wrote a 4-beat pattern, they put the manipulatives back into one big pile, and then wrote another pattern! Some of the students started writing patterns that were longer than 4 beats, which was fine with me--as long as they could figure out the patterns with rhythm syllables! This was a fun, hands-on way to practice ta and ti-ti. 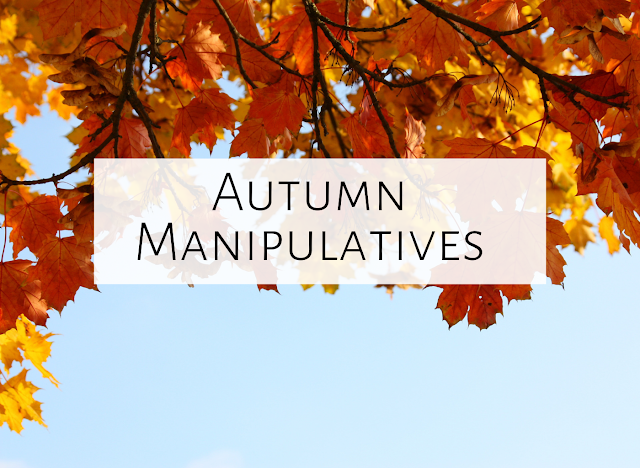 Although it's past Halloween, the manipulatives seemed more autumn-themed to be than Halloween-themed, so I will keep using them...at least until after Thanksgiving! Thanks to Lindsay for hosting this party! Make sure to click the picture below to read the other posts about manipulatives! 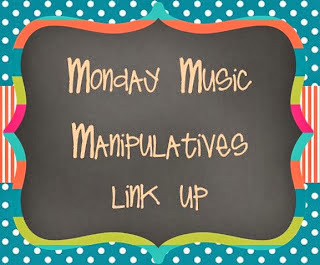 Thanks Aileen for linking up! Love this idea! Target is definitely my best friend when it comes to finding fun toys to use in my music room!